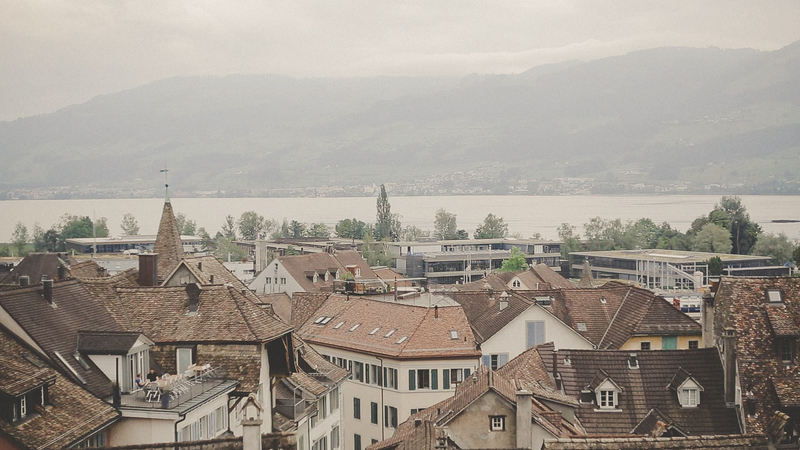 High above the city of roses Rapperswil, already visible from afar, the imposing medieval castle perched with their courtyards and gardens. It is a special place where you the hectic world outside the thick castle walls is quickly forget. The far-reaching, unparalleled views from the castle hill above Lake Zurich, to the picturesque islands Lützelau and Ufenau and the surrounding hills and mountain ranges already enjoyed the counts of Rapperswil and delight visitors of the beautiful castle for centuries. This environment, the impressive castle and the stately rooms of the castle form a beautiful and perfect setting for this colorful event. Dinah and David chose this ancient castle to celebrate their destination wedding surrounded by family and friends. On this day of August the temperature is cool, the sky a little covered threat of rain, but i did not imagine more vivid colors, joy and fun. The spell was flowing into the air. Dinah and David are a couple of irrepressible vitality. Dinah has organized everything in detail, every choice is stylish and fun and is related to the experience of trip , a source of inspiration in their lifetime.